Romania’s capital city, the impressive city of Bucharest, also known as The Little Paris, or Paris of the East, is also the country’s largest city and its cultural, industrial and financial centre. The city is known as The Little Paris because of its elegant architecture and the sophistication of the elite that stood especially between the two world wars. Although the wars, earthquakes and the systematization program from the communist era altered the beautiful buildings and districts in the historic centre, many of them are still standing and enchanting visitors with their fascinating image. 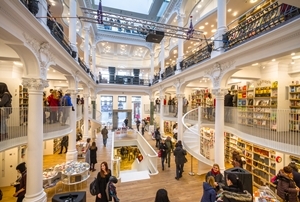 This unique bookstore occupies 1000 square metres on 6 levels and it is a book lover’s paradise. It is a great representation on the cultural environment in Bucharest and an amazing place for reading, socializing and for discovering the artistic heart of the city. There is a multimedia space in the basement, a contemporary art gallery at the first floor and a bistro on the last floor. Visitors have said that this place beats any other bookstore they’ve ever visited, so it’s safe to say that it is worth a look. 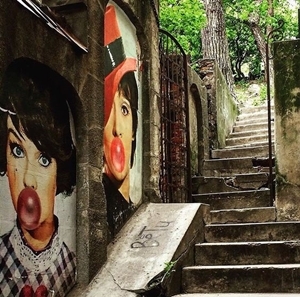 Street art in Bucharest is a pretty fascinating thing. If you are interested in this cultural aspect of the city, you should check out some of the most representative places: the stairs that lead to the of the Metropolitan Church offer an amazing view as you pass by the impressive pictures that illustrate two beautiful Romanian women, Margareta Pâslaru (singer, composer and songwriter) and Anda Călugăreanu (actress and pop and folk music singer), iconic persons for the Romanian culture. Also, the largest mural in Bucharest is 18 meters high and covers about 360 square meters drawing. The project was carried out on a building by „Sweet Damage Crew”. The „Sweet Damage” graffers crew is a team with over 15 years of experience in this field and their most impressive mural is visible in the student complex “Regie”, in Bucharest. This is one of the few historic cinemas that are still in business in the capital city of Romania. It was first opened in 1974 and it is now one of the most charming and pretty cinema halls in the city. It is located in the cortyard of the French Institute in Bucharest and it often has special programs scheduled according to certain events, such as the Oscars, and it even hosts some amazing cinematic events (Ciné-club Next, Anim’est Festival, the Belgian francophone Film Festival and so on). This imposing concert hall in the centre of Bucharest is a landmark in the capital city of Romania. 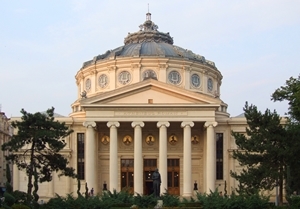 In was opened in 1888 and it is a beautiful, ornate, domed, circular building of great importance for the Romanian culture. It is home of the “George Enescu” Philharmonic and it hosts the annual “George Enescu” international music festival. The beautiful, neoclassical building also has some romantic influences in its architecture and the small park in front of it completes the image perfectly. The Revolution Square (Piața Revoluției) is one of the places that you can’t miss while in Bucharest. Located in the centre of the city, this square is riddled with amazing tourist attractions and a heavy historic background makes it a landmark for the whole country. 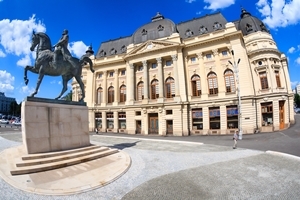 Some of the best attractions that you can check out nearby are the National Museum of Art of Romania, the Athenaeum, the University of Bucharest Library and the Memorial of Rebirth. The Revolution Square is representative for the Romanian history and it is called this way because, as many Romanians would say, history was written here. In 1968, the speech of the communist leader of the country at the time marked the apogee of his popularity and in 1989, this is where the popular revolt against the regime began, resulting in the end of it. 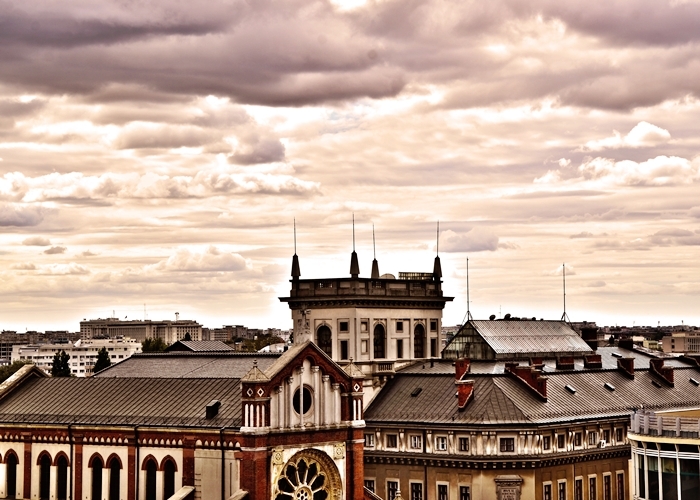 Check out all the other points of interest in Bucharest on TripEconomy! Other things that you shouldn’t miss are The „Amiral Vasile Urseanu” Astronomic Observer, The CEC Palace, The Cretzulescu Palace, the Macca-Villacrosse passage way, The Lipatti House the parks (Cișmigiu Garden, Herăstrău Park, Carol Park, Tineretului Park, Titan Park and the Botanical Gardens), the Capșa House, the Parliament Palace, the Frederic and Cecilia Cuțescu-Storck Art Museum, all the other museums, the churches and religious sites. Of course, you would need more than 1 or 2 days to explore all the city and see all of the amazing things that it has to offer, but a weekend city break in Bucharest will be good enough to get you into the energetic atmosphere and to feel the vibe of this city that never sleeps. Check out the complete list of hotels in Bucharest on TripEconomy.com; remember you can leave a review of the hotel that you choose once you come back. You can also look for the available flights towards Bucharest (Henri Coandă International Airport, most often referred to as Otopeni).